How well designed for connectivity are protected area systems around the globe? How well designed are PA systems for connectivity? Do they meet the Aichi Target 11 of the Convention on Biological Diversity on well-connected PA systems (at least 17% of terrestrial areas covered)? Which are the main priorities for improving or sustaining PA in each country? The ProtConn indicator quantifies how well the terrestrial PA systems of countries are designed to promote connectivity, although not how well they are actually managed. 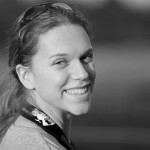 The study provides a general analysis at the global level that is not attached to the details of particular species. Instead, it focuses on the connectivity of PA systems as given by the coverage and spatial arrangement of PAs and by the range of dispersal distances that have been observed for the majority of terrestrial vertebrates. Although ProtConn does not consider landscape matrix heterogeneity, it is able to highlight countries (or regions) in which the connectivity of the PA system is more dependent on movement through, and on the permeability of, unprotected landscapes. 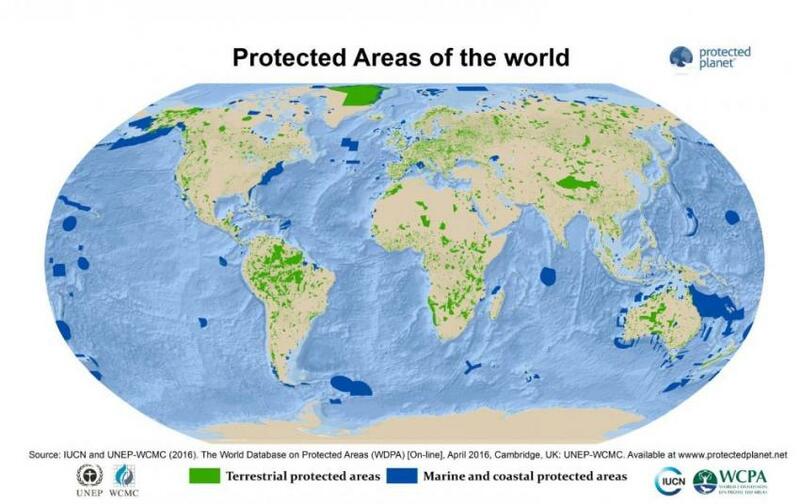 Globally only 7.5% of the area of the countries is covered by protected and connected lands, which is about half of the global PA coverage of 14.7%. Only 30% of the worlds’ countries meet the target of having 17% of their land covered by protected connected lands. Many of the countries would need to designate new PAs in strategic locations for connectivity so that they can act as stepping stones or corridors between other PAs. 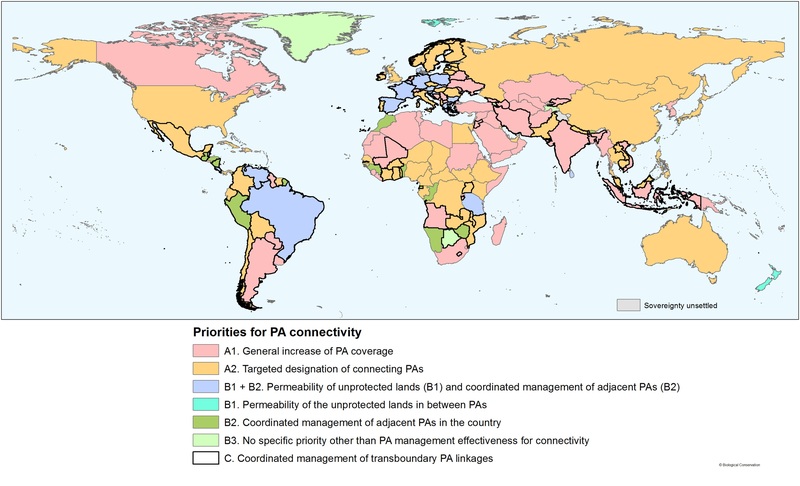 The priorities for PA connectivity are quite variable among countries. For example, in many European countries the connectivity of PA systems is strongly dependent on movement through unprotected lands; in these countries, the main priority is to ensure, through conservation or restoration actions, the availability of pathways (corridors) allowing species to traverse the unprotected landscapes in between PAs. The appendices (supplementary content) of the paper contain a significant amount of information, such as detailed examples for particular countries that may be helpful to illustrate the results of the assessment. Saura, S., B. Bertzky, L. Bastin, L. Battistella, A. Mandrici, and G. Dubois. 2018. 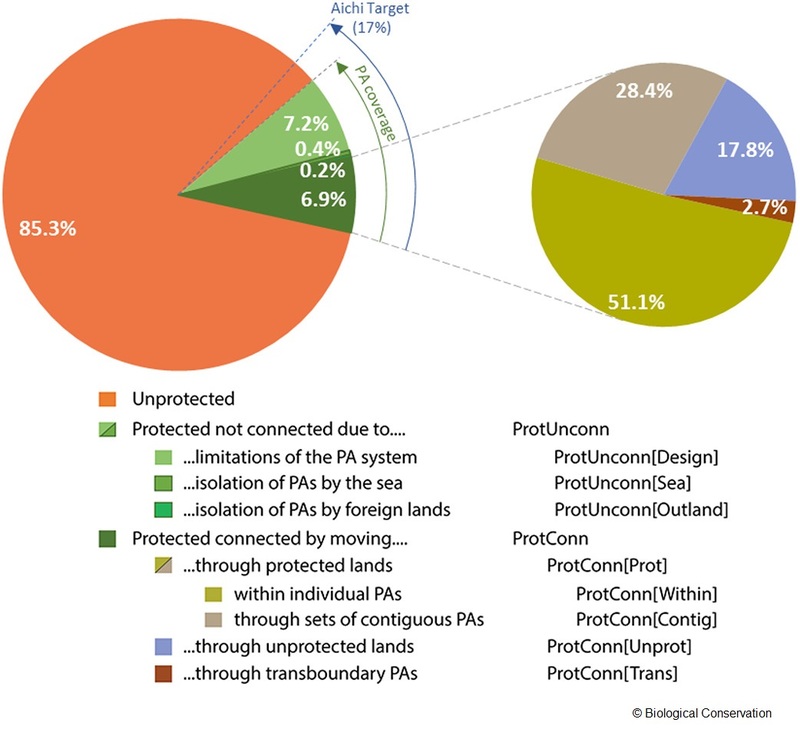 Protected area connectivity: Shortfalls in global targets and country-level priorities. Biological Conservation 219: 53-67.